Balancing classic tailoring with the edgy use of silhouettes and colours, and constructing avant-garde silhouettes with classic details. Infusing edginess and quirkiness into our brand’s identity and core. 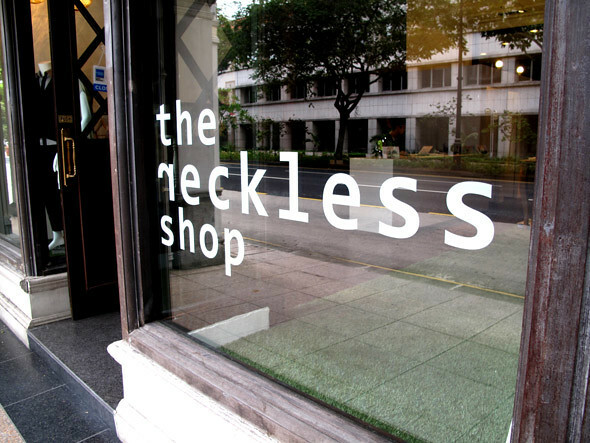 TSG: What is the philosophy behind the new line “Odds by Reckless Ericka”? ‘Odds by Reckless Ericka’ is a chic, casual and street styled womenswear. Odds features drapes on jerseys that stresses on the basic silhouette, yet enhances the femininity of a woman. In this, we hope it will capture the youthfulness and energy of women. It is priced to reach out to the general masses. TSG: Tell us a bit about yourself, your background and where you’re from, your environment while growing up? Afton: I am Singaporean. Part of my childhood was spent in Kaohsiung (Taiwan) where I had some of my best memories. The school that I had attended (Kaohsiung American School) had nurtured the creative side in me with various projects and skits. I enjoyed designing my own costumes for the skits and that was when I discovered the fun in designing and clothes making. My parents have been amazingly supportive of me to pursue my dreams to allow me to continue my work and I am thankful for their love. TSG: Was becoming a fashion designer what you always wanted to do in your life? Afton & Ruth: Yes, it’s what we’ve always wanted to do. TSG: Your designs have won you a sort of celebrity fan base that includes Adam Lambert, Sara Nuru, Rebecca Tan and Nadya Hutagalung. How do you feel about it? We’re really glad to have the wonderful opportunity to be able to work with talented artistes like them. It was definitely a great experience. TSG: Who has been the greatest influence on your career and who are your favourite designers? Afton: Aitor Throup. I admire his fascinating work that pays huge attention to the anatomy of the human body, and his illustrations are really intriguing. My other favourite designers would be Ann Demeulemeester, Paul Poiret, Yohji Yamamoto, Alexander McQueen, Elsa Schiaparelli and Mihara Yasuhiro. Ruth: My parents are my greatest influence for my career. It may sound cliché but it’s them that made me who I am today. To name one of my favourite designers would be Vivienne Westwood. I admire her madness and passion in everything she believes in. TSG: How did You, Ruth and Louis meet? Afton: 3 of us met in school! TSG: Do you have a mentor or inspirational figure who has guided or influenced you? We are truly grateful to Nic Wong and Daniel Boey. TSG: How different is working on your own, compared to working with others? When working on your own, you have to be conscientious in managing your time as the line blurs between your personal life and work. A lot of overtime work involved, but we love our brand! TSG: Do you think the best creative work is developed in private without too much outside influence? Afton: Creative work is best when there’re more heads involved in the thinking process because the design will turn out to be a melting pot of styles, cultures and artistic viewpoints.I don’t have a fixed, single object of influence or inspiration, because inspiration is the strangest thing! It comes from everywhere, in any form and best of all, it springs up when you least expected. Ruth: I think the best creative works are always the ones that come sincerely from the heart with all the passion. TSG: Who would be the ideal public ambassador for the brand? And why? Ruth: Karen Elson will be great. Simply because I love her. With Jefferson Hack. That will be awesome. Louis: Johnny Depp, he is quirky! TSG: How do you find your materials, and what goes into your decisions when putting them together? We make bi-annual trips overseas for fabric hunting. We wouldn’t want to limit ourselves so we keep an open mind while looking. We love the challenge of piecing the materials together and set the mind ticking and decide when we have everything in front of us. TSG: In no more than five words, what does beauty represent to you? TSG: What is your choice of music? Afton: Swing big band arranger Cab Calloway, Ella Fitzgerald, Anita O’Day, and British rock from the 60s and 70s (The Beatles, The Kinks, Joy Division, The Who, Queen, Siouxsie and the Banshees). Music has always been one of the sources of inspiration for me. There’s always something about the musical arrangements, vocal harmonies, and lyrics that intrigues me in a way that I can’t simply put it to words. Ruth: I’m more a band person though I listen to many kinds of music. I’m into the oldies, a bit stuck in the nineties, and love to surprise my self with new ones. To name a few: Bob Dylan, The Smiths, The Kinks, Jamie T, Two Door Cinema Club. And I love to sing and dance to music! TSG: If you could live in any time period, what period would you choose and why? Afton: I love it now but if I had to choose, it would be the Roaring Twenties. I am fascinated with the sudden dynamic changes in the social, arts, music and fashion scenes that are so different from the Victorian lifestyle. This was also when modern fashion was created and I would love to attend Marchesa Casati’s masquerade balls. TSG: What’s the best and worst thing about being a young designer in Singapore? Best: The Singapore retail industry today is definitely opening up to young local designers and labels and there has been great support from organisations like SPRING Singapore, Singapore Tourism Board and Design Singapore backing our industry. Worst: We yearn for more acceptance and better education about local designers to the consumers. TSG: What has the industry taught you? Afton: To have hope, as it is a positive expectation of good! Ruth: Many things. How to be tough on decisions and compromise at the same time. Louis: Taught me to be truthful to the brand and it never hurts to go the extra mile. It’s easy to lament and blame the effects of recession, but instead of doing so, a designer should look into re-branding or restructuring to appeal and stay above the crowd. Rediscovering complex geometrics, the notion of creating in adapt details out of overlapping and layering sheer nothingness, like a twin set asymmetric piece of knitted garment on its body. Form is unbounded by any fixed silhouettes, approaching each new mistakes with even bigger anticipation to make even more. These irregular forms occur in such an artistic manner, exciting us with their unfinished details, absolute incoherence in shapes, absurdity of flow and their entire lack of structure. Twisting and turning, draping and paneling, constructing every garment purely based on an expectation that there will be none to begin with. Each garment evolves from the previous form to begin with, highlighting its juxtaposition of irregular streamlines and geometric style lines. Fabricating newness, readapting to forms. Veteran local designer, Nicholas Wong, has got something new up his sleeves, but this time, he’s not alone. Partnering with Daniel Loh, assistant fashion designer for Nicholas, label SATURDAY is the latest offering to Singapore’s ever-growing fashion ground. Both designers introduce the new label, their partnership, as well as their unique views on all things fashion in our exclusive interview. By Luth Seah Zhiqiang. Test Shoot Gallery (TSG): The design philosophy of SATURDAY? Nic Wong (N) & Daniel Loh (D): SATURDAY is all about keeping things minimal, effortless and taking a more pragmatic approach in clothes making. It is easy to be different, but it is very difficult to be better. It is about changing the misconceptions and stereotypes of basic casual wear and their place in the wardrobe. Our designs are not determined by trends; instead they are our personal take on aesthetics and experimentations on garments. It is all about celebrating the imperfect, the impermanent and the incomplete. TSG: Can you tell us more about your partnership? What are your roles and how do you work together in creating the collection? N: There are no roles, we are pretty flexible. 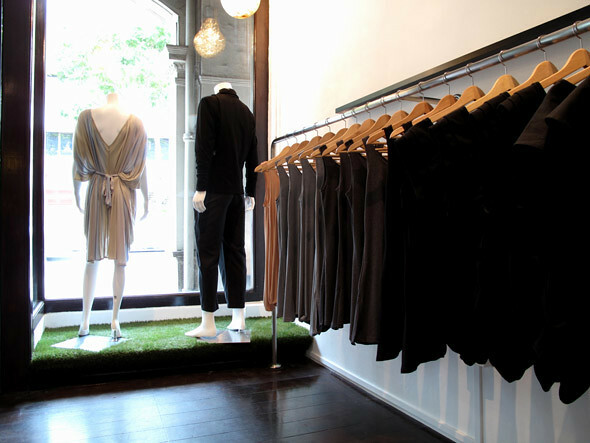 D: We handle everything from design to marketing, to overseeing production to managing the retail operations. Of course we do have our colleagues, pattern drafters, and production assistants that we work closely with who make everything work. TSG: How different is the working process when you collaborate with someone compared to working on your own? N: Trust is the common language spoken, but it is important to have the same rapport with the individuals that we are collaborating with. For example, during a shoot, we must work closely with the photographers and stylists, making sure the execution and the end product are in harmony. D: We also need to have mutual understanding between ourselves. We know our limitations and more importantly, are receptive to each other’s creative input on ideas. TSG: It has been 2 years since the conceptualization of the label Saturday; what is the reason you’ve kept us eagerly waiting for your first collection? N: We did not want to launch it as ‘just another label’. We wanted to fine-tune all areas of the label- branding, designs, production quality, retail and business aspects. The planning was crucial in making sure that we delivered not just quality, but also an experience. D: Even though we are working on casual wear and basics, the finishing is very important and we have had multiple fitting sessions to get a great fit on every style we’ve designed. Oh, did we mention that we are still working on our shop cards right now? TSG: As you may have noticed, communicating fashion through video seems to have become the “next big thing”. Why do you think this is happening? N: Consumers are getting technologically savvier and want more than just another still image- video fits just that. It translates moods and portrays the garments in motion, offering both interactivity for consumers and conveying a message even stronger for the label. fashion and music and then some, like the recent Jennifer Lopez’s new song about Louboutins; it just doesn’t stop there. TSG: What has this industry taught you? N: In terms of business, we have to be more thorough in our planning and everything we do must be in black and white. Being in the industry for 4 years, I have experienced some backlashes and various unforeseen situations that have threatened the business, as well as circumstances one cannot control especially when operations is not local. D: Being more realistic in both design and business aspects. You have to take in account production costing; is your product affordable in retail? It is no longer just you and yourself; it is an involvement that affects everyone you work with. Nevertheless, one cannot compromise their integrity. TSG: What were your childhood aspirations? N: I thought I would make a good runner or swimmer. TSG: What are your thoughts on the current state of menswear? How would you like to see it evolve? N: Locally, we are still very lacking in the menswear availability, and there are only a handful brands that are established. D: In design schools, there is an obvious lack of exposure to students on menswear. There is this due to the misconception that menswear can only be the shirt, jacket and pants combo, but it’s actually more than that. And I guess most designers have this fear to cross this uncharted path, but they have to realize that the men’s taste in fashion has changed dramatically over the years, and so must their ideas about it. TSG: Who would you most like to dress? N: It would probably be Alexa Chung, model and TV presenter from the UK. Her versatile look would carry off our label very well. D: My mum, she would make a really wicked model to work with. No fusses, pure fun, effortless, perfect! TSG: What are your upcoming plans? N: Focusing on establishing the label and sharing our design and aesthetics globally, one step at a time. We are currently in talk with New York buyers and we will also be launching in Kuala Lumpur with MATERiEL in March this year. 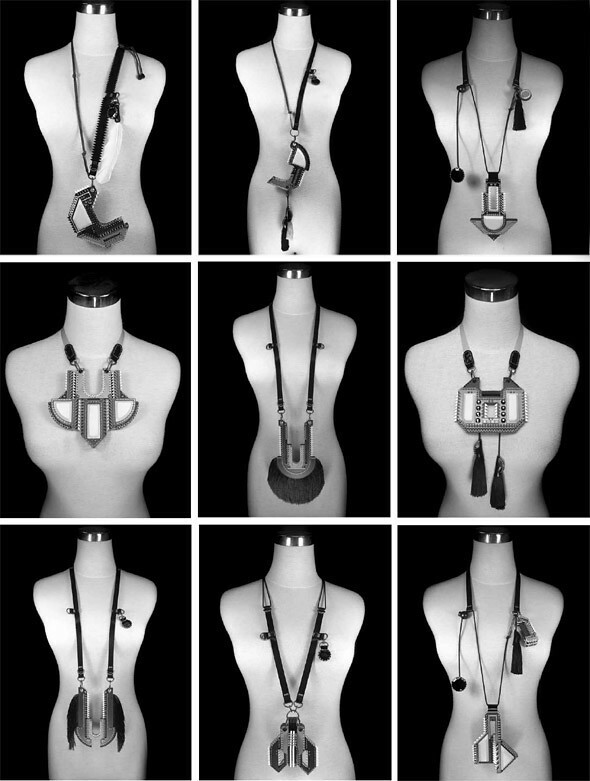 D: We recently collaborated with the duo from VICE & VANITY on a new range of accessories that is only available at the NICHOLAS flagship store in Marina Square, and we are already working on with yet another collaboration with them that is set to be ready in April this year. TSG: Who is/are your greatest artistic influence(s)? N: Jackson Pollock. I remembered the first time I chanced upon his artworks,was during my college years while I was visiting the Guggenheim Museum in New York. It was the colors, the dripping and splash technique that was anything but deliberate. The coincidentally well calculated geometrics in his works that astounded me. notables would be graffiti artist, Banksy, photographer Henrick Purienne and J.D. Howell, and illustrators like Garance. TSG: What advice do you have for our designers who are just starting out in their careers? N: Still waters run deep. D: Four meals, take a humble pie as your staple daily breakfast for a start, a serving of less talk and more action as lunch, knowing your ability and limits for your dinner and end your supper with a tinge of respect when you work with others. TSG: Platforms such as the Singapore Fashion Festival help create awareness. What further support do you think our homegrown labels need? N: Funding would be a cliche answer, but I would say supporting homegrown labels in their efforts to be featured and introduced internationally to places like Japan, Holland, Germany, and Scandanavia. To be marketed there with the backing of a government body will be amazing. D: Collaborations with other international labels, or even cross-disciplinary projects with other artists and designers could spur interesting projects and campaigns.